Labour’s public, “Go on punk, make my day – vote us down if you dare!”, challenge to the SNP is a recipe for absolute disaster for Labour and for the Union. Two parliaments, two prime ministers, one house. That’s where this bit of machismo leads. The response of the SNP would be to say, uh, OK we’ll not bring your government down. We will support you in the initial confidence vote so that you can form a minority government. We will support you in the event of a no confidence vote should one be tabled at any time. We will support you in matters of defence and foreign affairs (unless you propose something daft, like renewing Trident, where the Tories will vote with Labour). We will support you in those votes where Scotland’s vital interests are at stake. Other than that, in the case of English-only legislation, being mindful of the inequity perceived by other members of this House and by the English electorate at large, we will continue our time-honoured practice of abstaining from voting. Now, you can’t say fairer than that, right? Wrong! 1. To have in UK matters, Ed Miliband calling the shots, installed as British Prime Minister in the UK Parliament, propped up by the SNP. 2. In England-only matters, where the Tories can command a majority with others parties, David Cameron, de facto Prime Minister of England in an English parliament. Two parliaments, two prime ministers, one house. And we all know that a house divided against itself cannot stand. 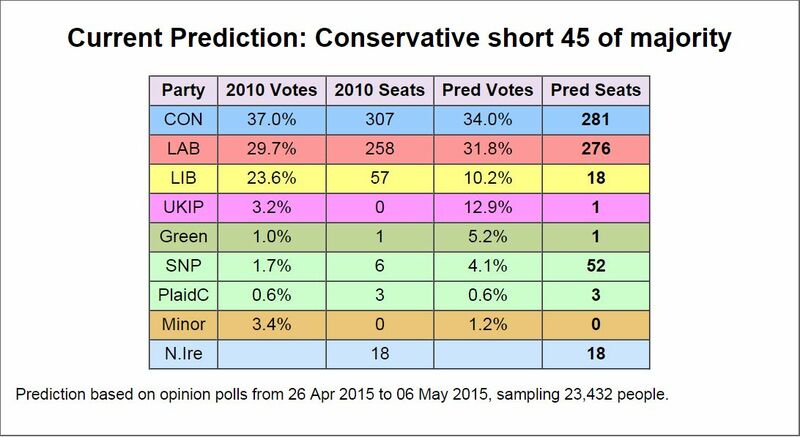 Contrary to chattering class analysis, my inner Yoda tells me Miliband by the short and curlies Sturgeon has.